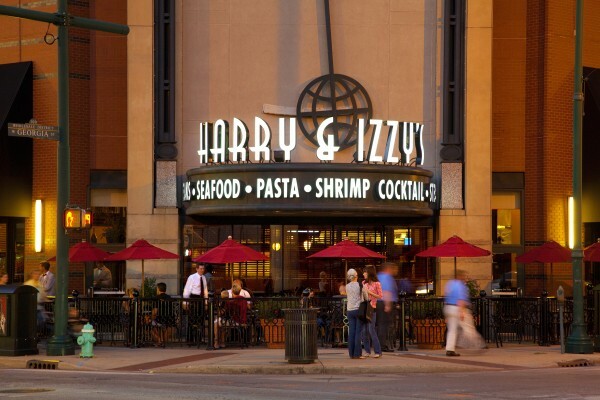 Harry & Izzy’s is an independent, upscale American Grill. Its ambiance exudes class and sophistication in a comfortable setting with a lively bar and unique dining rooms that incorporate dark woods, lush fabrics and a deep color palette. This sister restaurant to the famous St. Elmo Steak House, shares a few classic dishes, while also offering more menu variety. Monday - Saturday, 11 a.m. - 4 p.m.
Sunday, 10:30 a.m. - 4 p.m.
Monday - Thursday, 4 - 10 p.m.
Friday & Saturday, 4 p.m. - 12 a.m.
Sunday, 4 - 9 p.m.